We have been developing some new ash glaze recipes lately. Ash glazes are ceramic glazes made from the ash of various kinds of wood or straw. 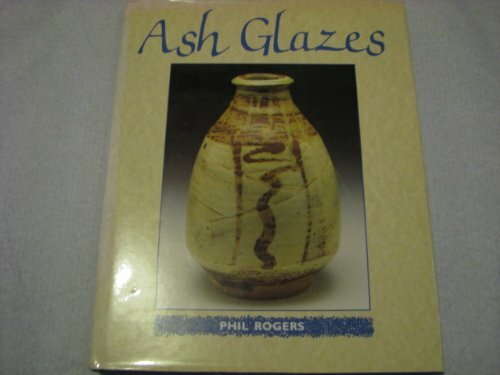 In a wood fired kiln, potters like to create random effects by setting up the kiln so that ash created during firing falls onto the pots; the results of this are seen in Phil Rogers book 'Ash Glazes'. We use an electric kiln where the conditions are highly controlled and predictable so in order to get some interesting effects with wood ash we mix it with water, and often clay, and apply is as a paste or we simply shake the dry ash onto the surface of the pot before it enters the kiln. Wood ash dusted over a Tenmoku glaze pre-fire. Wood ash dusted over a Tenmoku glazed pot . Wood ash is primarily made up of calcium carbonate, which is used in many glaze recipes. It also contains many other components which differ depending on the location, soil, and type of wood the ash came from. Each different ash glaze produces different results. We collect wood ash from the pizza over at the Cill Rialaig Cafe. We wash it, sieve it and dry it to make a fine dust. The ceramic flux in wood ash is calcium oxide. When present in a glaze it promotes running & streaking. Wood ash glazes often run and slip so much during firing that they move down off the pot and onto the kiln shelf below, sticking the pot firmly to the shelf it sits on. In order to remove the pot we have to grind the pot off using an angle grinder; after this process the pot is usually lost. These mugs are held to shelf after this ash glaze ran to far in the firing process. A simple wood ash glaze. Wood ash dusted over a cristalline glaze. Wood ash dusted over crystalline glaze. Wood ash dust over crystalline glaze. Wood ash dusted over a Tenmoku glaze. A dusting of wood ash helped to create this streaking effect .